HÀ NỘI — Forestry agencies in upland areas across the country have been told to closely monitor the risk of fires as risks reach critical levels. According to a notice issued by the Việt Nam Administration of Forestry (VNFOREST) to provincial agriculture departments on Monday, warning levels for forest areas in mountainous areas of the northwestern and central regions, Central Highlands as well as the southeastern region are currently at Level V, signifying an “extremely high possibility of fire risks” due to arid and hot weather. 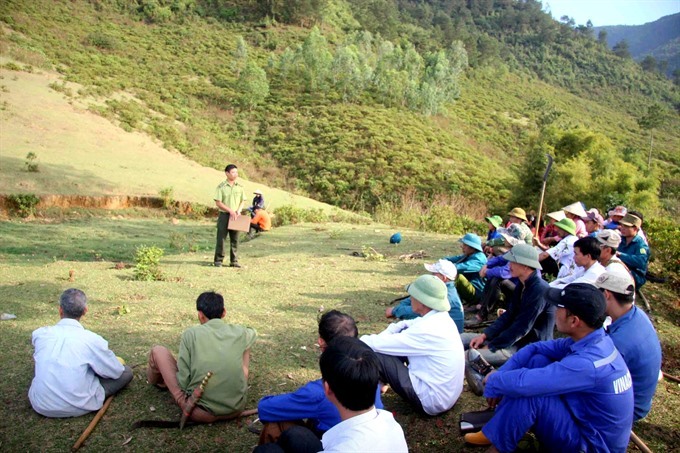 In the notice, VNFOREST Director Nguyễn Quốc Trị asked related authorities to co-ordinate forest protection efforts and be on constant watch during the entire length of the dry season. They’ve also been instructed to fine those who violate forest protection regulations and ensure firefighting services are sufficiently staffed and properly equipped. Forestry authorities were also told to clear brush and dead wood that could fuel fires.